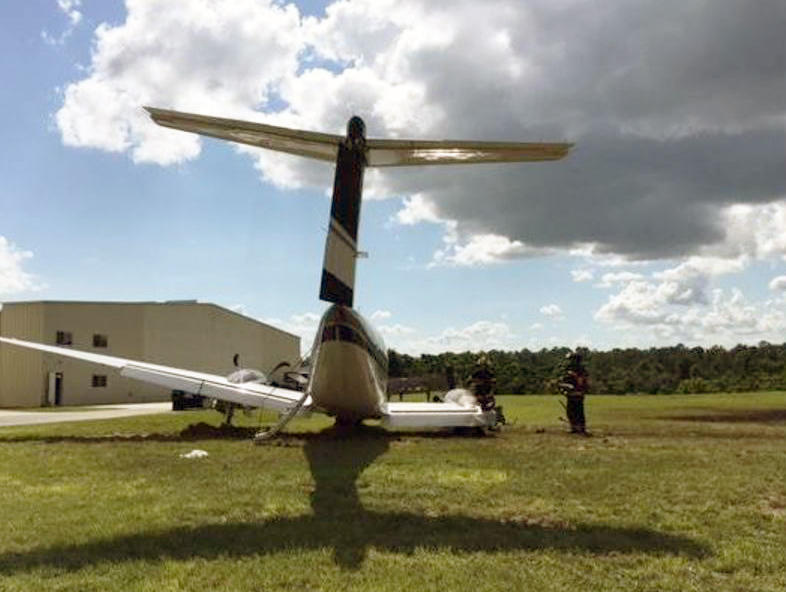 Upon landing on runway 15, the twin engine aircraft became uncontrollable and veered off runway to the right. 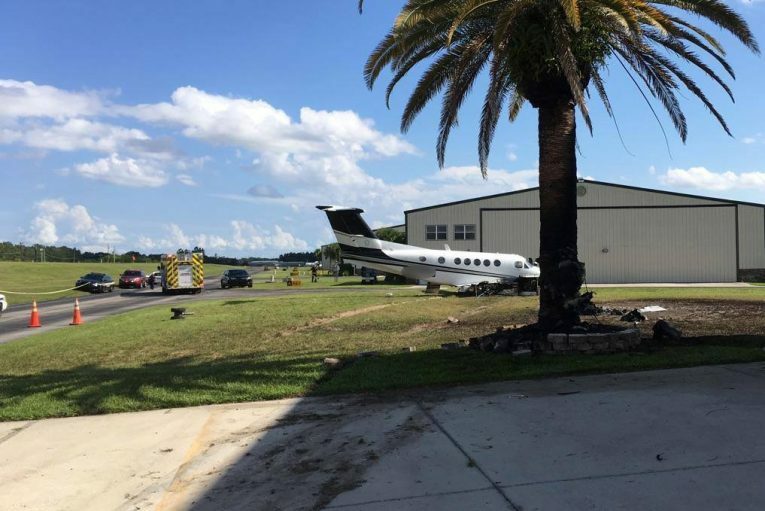 The right wing hit a palm tree and was sheared off till the engine. 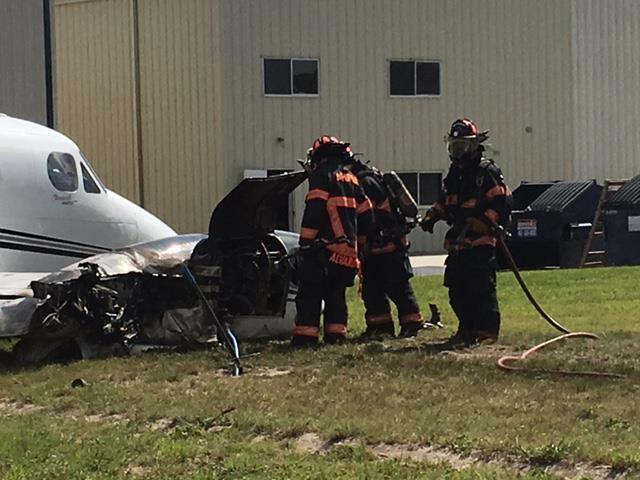 The aircraft rotated and came to rest with the right engine in flames. 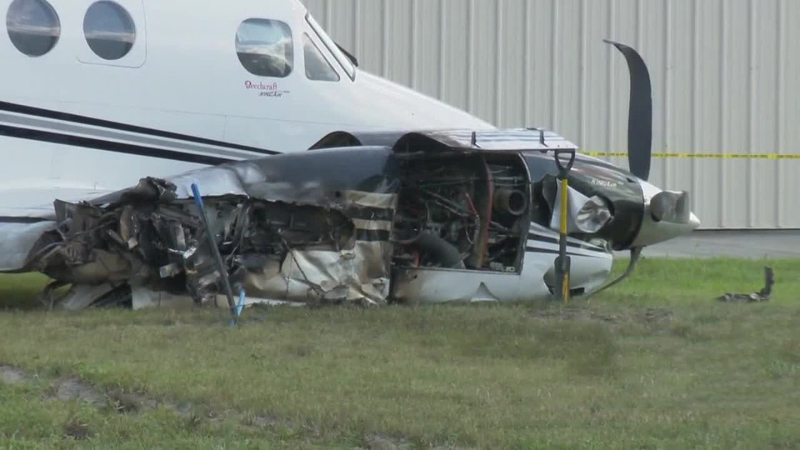 The pilot, sole on board, escaped unhurt while the aircraft seems to be damaged beyond repair. Strong cross winds were reported at the time of the accident.